Did you know that only some homes in Harbour Point have the option of a private boat slip in the Harbour Point Marina? 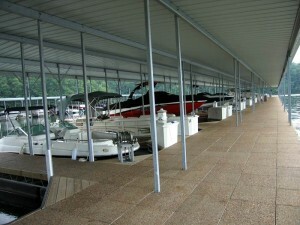 Be sure to find out if the home you are looking at has a boat slip option. If the property does not have a boat slip option, the only way to purchase a boat slip in Harbour Point is to get on the waiting list. In order to purchase a boat slip in the marina, other owners have to release the rights to the boat slip with their property. This waiting list could take months or even years to reach your name! If the property you are purchasing has a boat slip option, you should consider buying the slip even if you do not plan to use it! A $45,000 investment in the boat slip option sounds like a lot, but losing the boat slip will reduce the value of the property you are purchasing. Also, when you sell your house you also sell your boat slip back to the association, so it is an investment that is unlikely to lose its value!